Meeting attendees and assignments of reading order will be done at PUB 365 --- 255 East Flamingo Road (Inside Tuscany Hotel and Casino). A meeting for local ACTORS, WRITERS, FILM LOVERS - EVERYONE IS WELCOME! 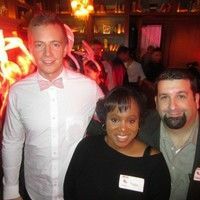 We discuss topics interesting to TV and screenwriters, and have cold readings and reviews of member scripts. Order food and drinks if desired at PUB 365. Cold Readings and short FIVE minute discussion/feedback rounds after each. Additional discussion and drinks for interested parties. Writers can bring the first (or next)10 pages of your current project. Members are NOT REQUIRED to bring pages in order to attend. Cold readings will be done on all pages submitted (time permitting). Please BRING COPIES for ALL YOUR CHARACTERS (include a NARRATOR for the scene descriptions and actions) so that we can assign readers. A five-minute discussion/feedback section will be held at the end of each reading. 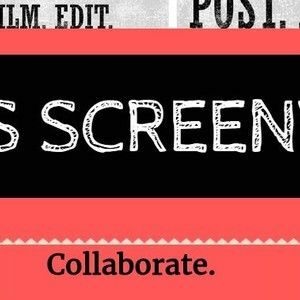 For writers interested in having a peer review/cold read of their FEATURE FILM SCRIPTS (90 to 120 pages), TELEVISION SCRIPTS (30 or 60 minutes), or SHORT FILM SCRIPTS (less than 25 minutes), please email the Group Organizer at rayna.booker@lasvegasscreenwriters.com. We will set a date time and location for s special peer review/cold reading. Please provide your name, a contact number for you, the script title, genre and the number of script pages. PDF submissions are preferred. Script submissions can be sent as a Final Draft orMovie Magic Screenwriter file. All files will be converted to PDF. The LAS VEGAS SCREENWRITERS GROUP STRONGLY RECOMMENDS THAT All FULL LENGTH BE REGISTERED with some kind of registration service to secure intellectual property rights (https://writevault.com/ , https://www.copyright.gov or https://www.wgawregistry.org/registration.asp ) prior to PEER REVIEW. Seasoned and new writers looking to join a serious yet supportive screenwriter's group. We welcome enthusiastic, positive and imaginative writers. We realize that making quality projects is also leveraging the relationships we have with our community, other artists, businesses, actors and supporting one another. We are growing fast, making movies, and becoming better each day.